So today was my first day of teaching 5th grade for my long-term sub job. The day actually went pretty well and better than I expected. I was really nervous leading up to this morning and as the kids came in, I didn’t feel quite so nervous. We did all easy, getting to know you, first day of school activities. Things were going quicker than expected and I felt like I was running out of things to do but it all ended up working out in the end. I feel pretty good at the end of the day. 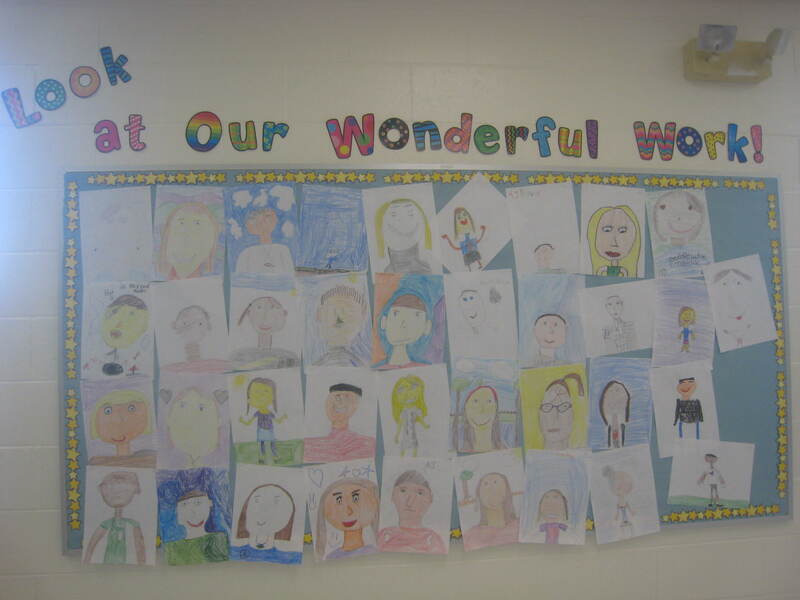 We made fabulous self-portraits today. Most of them came out really well. I already hung them up on our bulletin board. 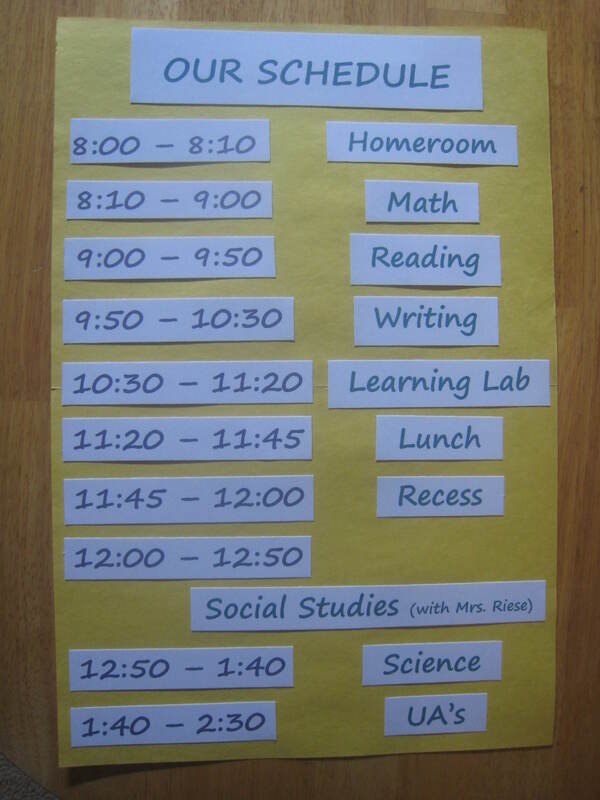 I also put together our schedule and laminated it so we know what is going on during our day. So overall, I think the day went pretty well. I’m looking forward to the next few months of learning more about my teaching style and having this experience. 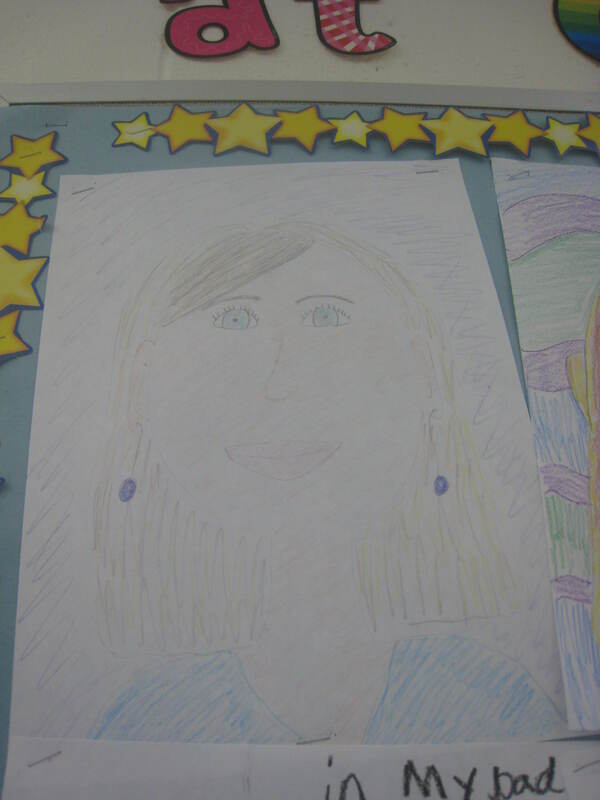 I went to school to be an elementary school teacher. I haven’t been able to find a job yet but last year I was a teacher assistant for 5th grade in a middle school in the area. I worked in all the classrooms but one more than the others. That teacher had a baby in June and is taking her maternity leave time this fall, until Christmas vacation. Since I already worked in the school, and didn’t get another teaching job, they decided I could cover for her class while she is on maternity leave. I wish I had gotten my own classroom position this year but, since I didn’t, this is excellent teaching experience for me to put on my resume. The first day of school with the kids is tomorrow and I am really, really nervous. This is my first real teaching on my own experience. I know the first few days are more introducing everything and going slow so I know it will be fine. I think I just have this feeling like all the students are going to be out of control and I’m not going to be able to fix it. Plus, because of Hurricane Irene, the school was closed today so I couldn’t go in to get all my last-minute stuff together and organized, which stressed me out a little more. I was able to get things done here but it isn’t the same as actually being in the classroom. I will just get there extra early in the morning to make sure everything is set. Then I will meet my class of 19 5th graders and begin our 4 months together. I hope to blog about any fun teaching ideas, activities, or lessons I come up with. Or if anyone has any excellent lesson ideas for 5th grade reading, writing, math, or science, definitely let me know! 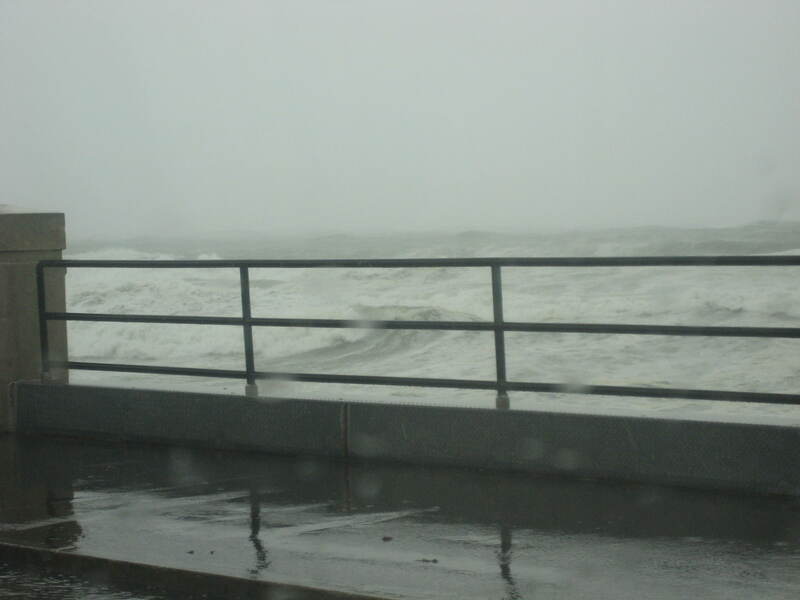 So Hurricane Irene came up the east coast and was supposed to be awful and hit us hard. 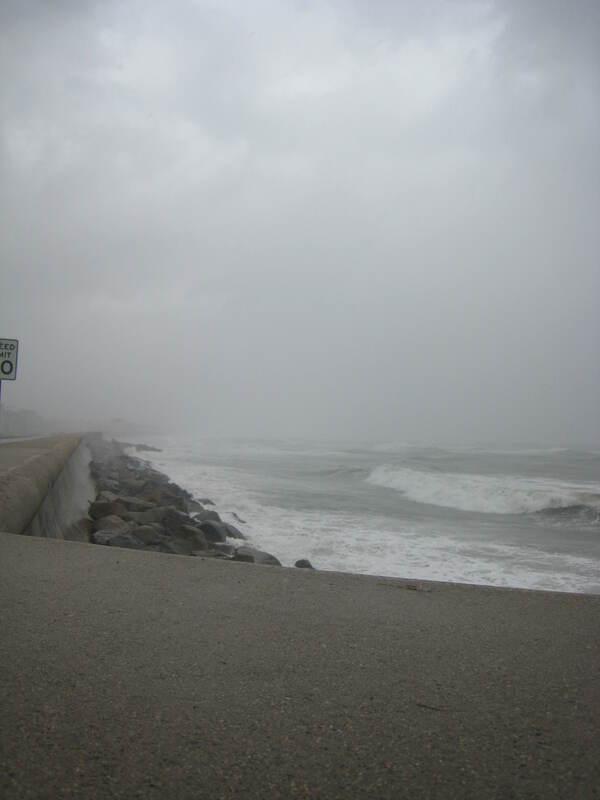 By the time it got up to the NH coast, there wasn’t much left. Everyone was running around getting supplies. We even loaded up on water and flashlights in case the power went out. 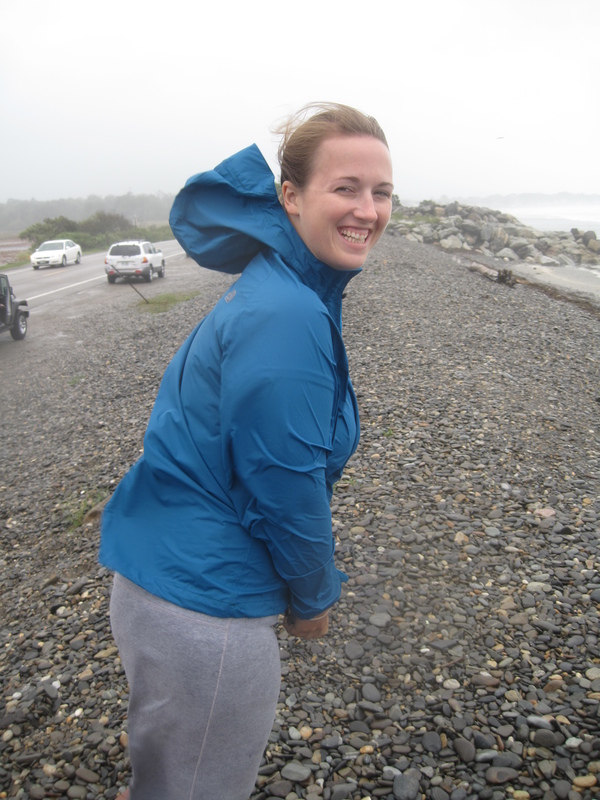 Here on the coast, it rained and was windy. But that was about it. 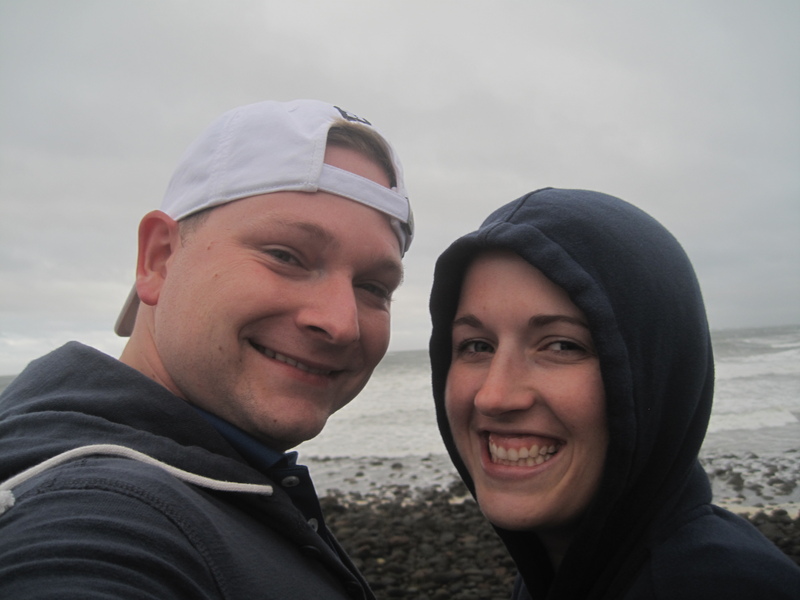 Even still, Dan and I wanted to go check out the ocean 5 minutes away from us and see how crazy the waves were. And, like I said, it was pretty windy…. I know people who are more south had it much worse. And people who are more inland too. People lost power and I’m sure there are many who haven’t gotten power back yet. I hope all those people are doing well and I hope they get their power back soon. I’m thankful that nothing bad happened here and we didn’t lose power. Now, if only school hadn’t been closed today so I could go in to get ready for the kids to come tomorrow….. I have been thinking about creating a blog for a while…I just was never sure what I should write about or name it or if I would be any good at blogging. Well, I decided to go ahead and give it a try. So here it is. My brand new blog. I am excited to do this, even though I don’t consider myself a great writer. I recently got married and had a wedding blog and I really enjoyed sharing what was going on with my wedding planning. I wanted to be able to continue blogging but more about my regular life. I can’t promise it will be great but I hope somebody enjoys reading it. I hope to blog about DIY projects, newlywed life, my first real teaching experience, and anything else that might be going on in my life. Happy reading.